Sculpture is my passion and I cannot resist the lure of materials that start soft and malleable and become hard and durable when cast, fired or hammered. Although the strength and versatility of bronze is always appealing, especially for life size statues, I find the potential range of colour and surface treatments using ceramics irresistible. Glass and the smooth surface of enamelling on metal is also enticing and I enjoy the exacting processes required to produce worthwhile outcomes. I am excited at the prospect of silver smithing, especially casting small objects in precious metals. I aim to continue developing my creative skills for as long as possible. 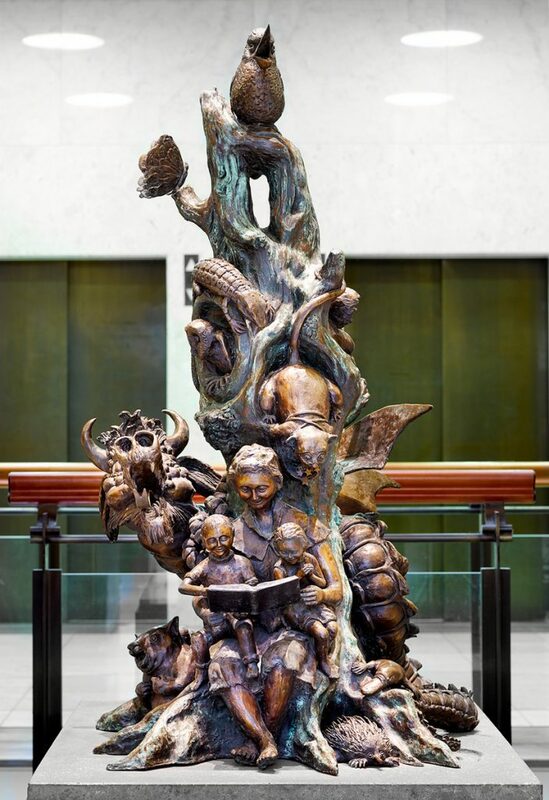 Tessa Wallis is an Australian Artist who, for more than two decades, has created unique sculptural works for public monuments, industry, theatrical productions, veterinary devices, educational institutions and private clients. For many years, she was largely self- taught and worked hard to develop her expertise in her small business Masks & Puppets Plus. Tessa has established an International reputation as a mask maker and supported herself in the process. 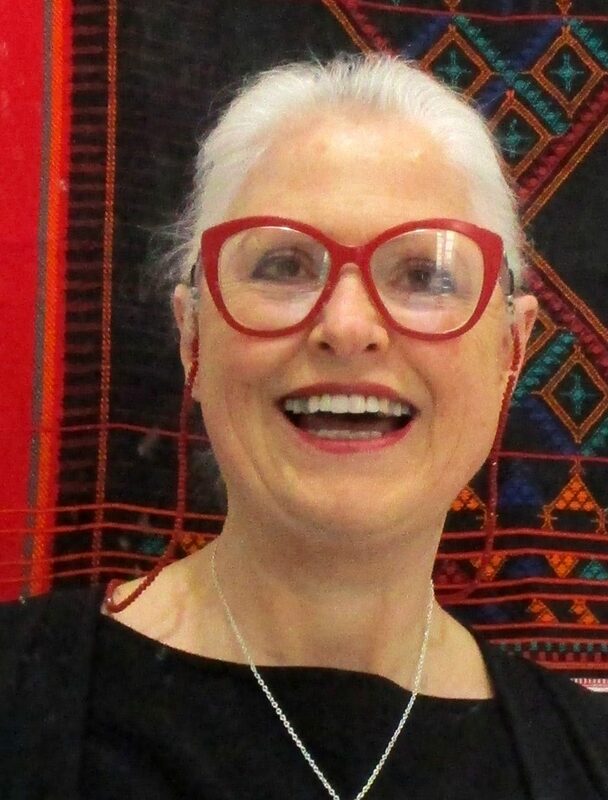 For nearly three decades she has designed and created custom built masks for performances around Australia as well as internationally in New York, Georgia, North Carolina, Amsterdam, Hong Kong and Singapore. She has a natural talent for sculpting facial expressions and body language which helps brings her creations to life. Her expertise with likenesses and caricatures complements her ability to convincingly interpret two- dimensional images into three dimensional forms. Developing sculptural skills through mask making fostered an understanding of the use and application of materials, modelling and mould making, all of which helped broaden her horizons.. 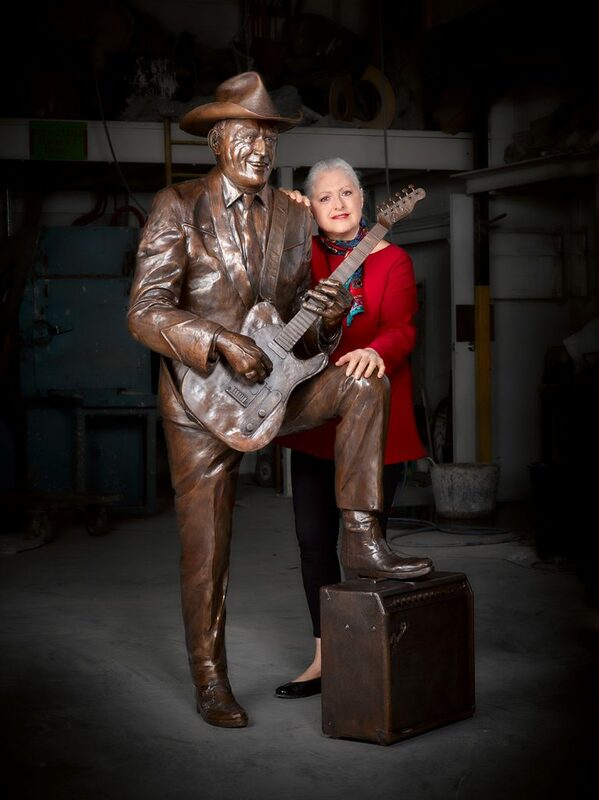 Whether building a larger than life size bronze statue, sculpting glass panels or designing and mass- producing polyurethane trophies, she is equally confident. She has made two different emblems for pre- war Morris Cowley vehicles and at present she is concentrating on small objects using precious metals, gemstones and enamelling. Tessa is adept at interpreting a brief and carrying her ideas through to completion. 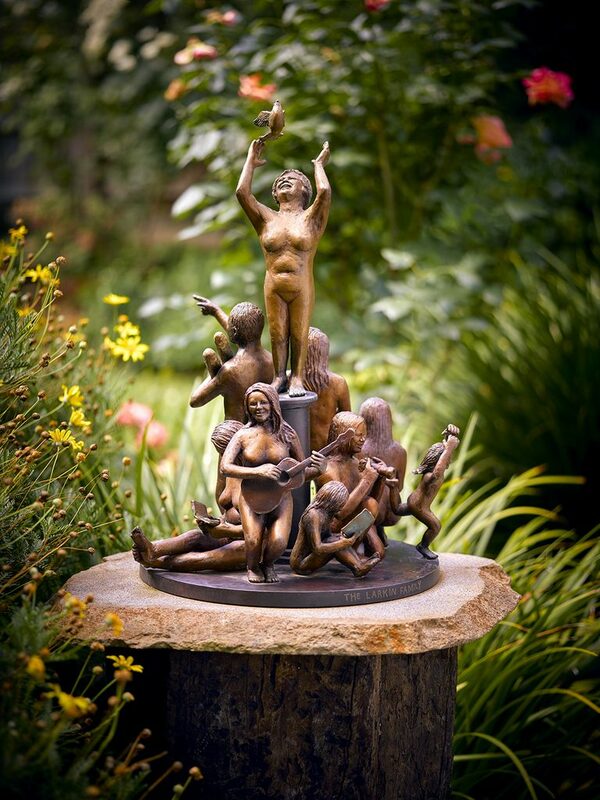 She won several bronze commissions by submitting maquettes of her original ideas. 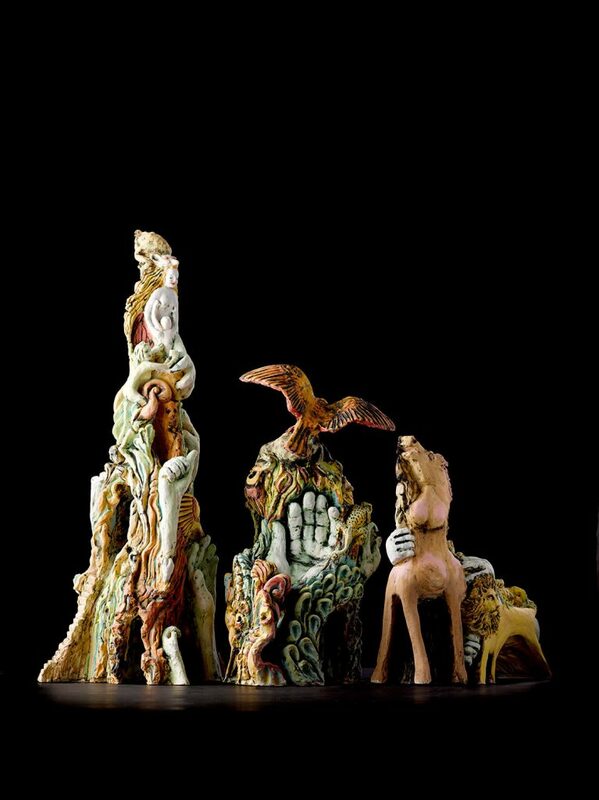 After studying ceramics part time at the Carton Arts Centre and Holmesglen TAFE from 2007 to 2013, she enrolled at RMIT University graduating with a Bachelor of Arts (Fine Art) in 2017. Green and Gold – orb with sgraffito in gold leaf. The first exhibition in which Tessa was invited to exhibit was The International Puppetry Exhibition at East & West Arts. This was followed by A Handful of Characters by the Performing Arts Museum at the Victorian Arts Centre, a vingnette of Tessa’s Punch and Judy show also at the Victorian Arts Centre. Tessa’s Masquerade Masks were exhibited in the foyer of the State Theatre. Pinocchio, Beauty and the Beast, The Tempest, The Hypochondriac, Pendragon, Arthurian Legends, Mulan Junior, Into the Woods, The Lion, the Witch and the Wardrobe, Rhinoceros, Medusa, Antigone, Lysistrata, The Daughters of Venice, Chariots of the Gods, Smurfs on the Run, The Visit, The Greeks, Just Eat It, The Dance of Death, Variations on Leunig, The Witches, Smurfs on the Run, Christmas pageant, Gobble and Gerp, Animal Farm, Punch and Judy, Commedia dell’ Arte, Shakespearian Legends, A Midsummer Night’s Dream, Twelfth Night, Alice in Wonderland. Human Hands in Reproduction, Evolution and Adaptation. Porcelain. By Tessa Wallis. Photo: Ric Wallis. 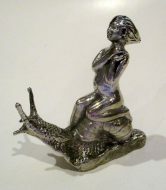 Snail Girl emblem, manganese. By Tessa Wallis. Reg Lindsay Standing Tall by Tessa Wallis. Bronze. H 1870mm w 1100mm, 800mm Ric Wallis photography. 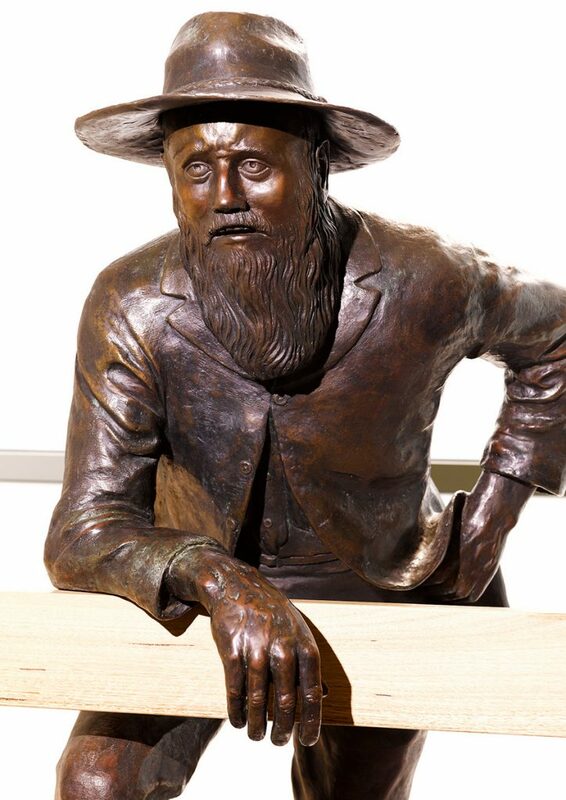 Tessa Wallis 2000 "The Man from Ironbark", Bronze. Ric Wallis photography.